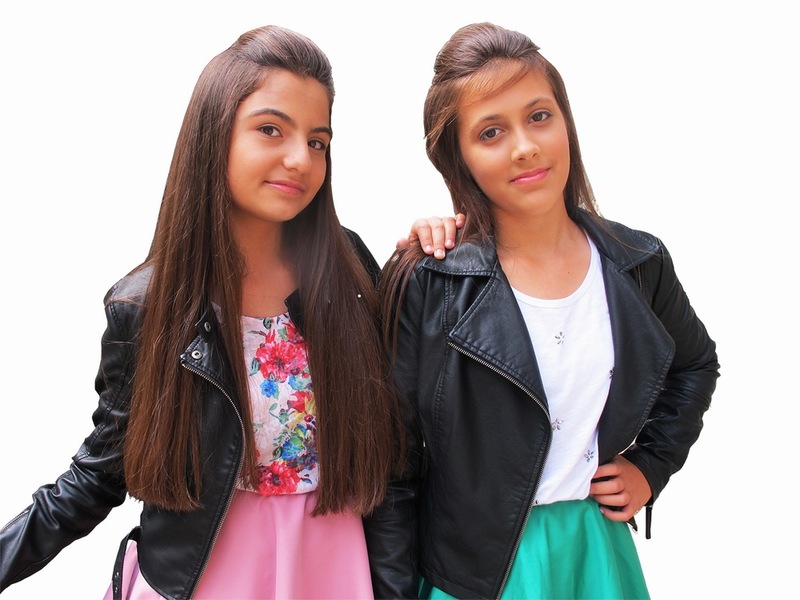 A girl duo Maša Vujadinović and Lejla Vulić will represent Montenegro at Junior Eurovision Song Contet with the song "Budi dijete na jedan dan" (Be a child for a day). 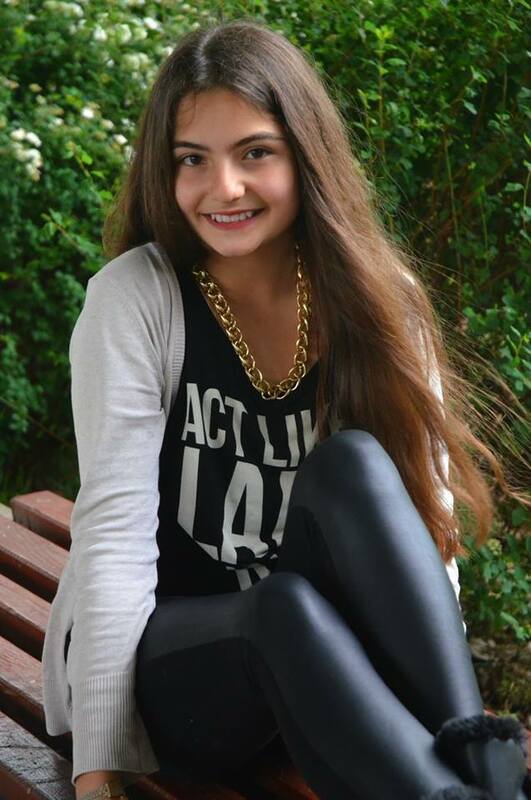 Maša Vujadinović was born on October 4, 2000 in Podgorica, she attends the ninth grade in elementary school "Pavle Rovinski", and the sixth grade in music school "Vasa Pavić". She studies music since the age of 6 and also practices dancing. Appeared in The X Factor Adria 1st season in 2013 but was not chosen for the live finals, despite getting positive reviews and initial 4 "Yes" from Kristina Kovač, Emina Jahović, Kiki Lesendrić and Željko Joksimović. She has also taken part in music festivals "Naša radost" in 2008, 2009, 2010, 2011 (three times winner of 1st prize), "Zlatna pahulja" 2008, 2009 and 2010 (Grand Prix with "Sunce"), "Male skale 2009" (3rd prize), " TIN 2010 (Grand Prix with "Plavi osmeh"), "Dok tece Lašva" in 2011 and 2012. Took part in children's festival within "Slavic Bazaar" in Vitebsk 2012 (day 1, day 2). Sang with children's choir "Zvjezdice" and several times appeared as guest of TV shows on RTCG. Most recently she has performed at "Spuško ljeto 2014" event. "It is my great pleasure to have the opportunity to represent my country. Lejla and I have a very demanding task in front of us. Upon us a great responsibility and we'll do our best to show Montenegro and ourselves in the best possible way. I participated in many presigeous festivals, but I expect that this will be a new experience for me. This is the biggest festival in which I ever had the opportunity to participate and I am very proud to be part of something that big. I try to motivate myself to give myself to the full and to be up for the task. Now we eagerly await time when we go to Malta, and we believe we will not let everyone done on expectations"
Lejla Vulić was born June 29, 2002 in Miami, Florida, USA and she is living in Kotor, Montenegro, while attending the seventh grade in elementary school "Knightsbridge school International" in Tivat, and finished the fifth grade in music school "Vida Matjan", the violin course. She has appeared in music festivals Zlatna pahulja 2009, "Naša radost" 2011 and also took part in traditional Kotor carnival 2012 in her hometown. Her poetry have been published in various magazines. "Participation in the Junior Eurovision and representation of my country is a big responsibility and pride. This is the opportunity that rarely arises and I am sure that we with Maša will do our best. It is the responsibility of representing the country that gives us extra motivation to do our best and that's the difference from the previous festivals in which I have appeared. This time we fight not only for ourselves, but for the whole country. We have an excellent team helping us. With aunt Sanja I have already worked, she wrote to me song "Nikola" which was extremely popular, and the new experience of working with her on the lyrics is for me an exceptional honour"
On July 18 Montenegrin broadcaster Radio i Televizija Crne Gore has announced making debut in the contest. Names of the participants and title of their song were announced on August 21. 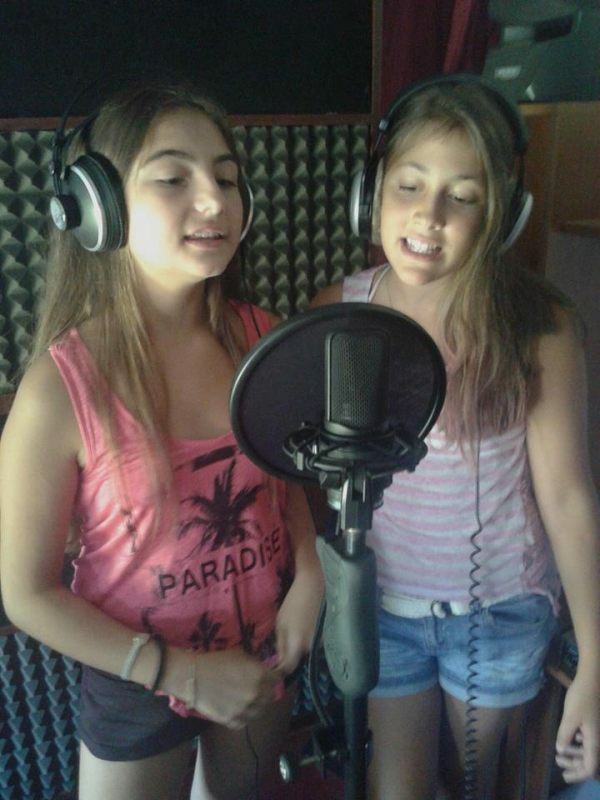 The song Maša and Lejla are going to sing is titled "Budi dijete na jedan dan" (Be a child for a day). Sanja Perić and Lejla Vulić wrote the lyrics, while Slaven Knezović, a famous composer (Serbia and Montenegro at ESC 2005, Montenegro at ESC 2007), helped them compose the song. Miha Radonjić did the arrangements and the song was recorded in his studio "M Sound" while mastering was done in Edensound studio in Sydney. The beginning of the song is sung in English, with the rest of the song in Montenegrin language. Music video and stage performance in Malta will be directed by Draško Đurović. 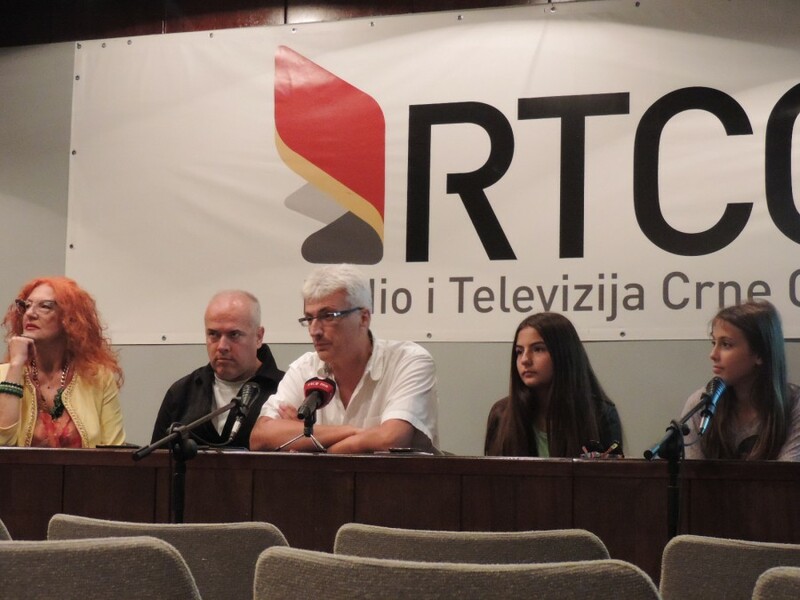 Slaven Knezović, who also is the Head of the music department of RTCG stated that Junior Eurovision is a fantastic platform for young musicians to represent their countries, and Maša and Lejla are the perfect choice for Montenegro, based on their talents, knowledge, and experience. He added that the two of them are a wonderful musical duo, and that they will show life in Montenegro in their own way in the song they are going to perform in Malta. Participation in the contest, aiming to raise awareness of children's creativity in Montenegro, will be entirely financed with the help of sponsors and budget will on a much smaller scale than participation in adult ESC. Thanks to the excellent contacts with Maltese television, the questions of transportation and accomodation have been also sorted out on no extra cost. - Hi, Maša & Lejla, congratulations for being selected for Junior Eurovision. Can you tell us, how did it happen that you were invited to take part in the contest, and what was your initial reaction to these news? - Thanks for the congratulations. We have earlier already already worked with Slaven Knezovic, composer and Sanja Peric, songwriter. They were given by RTCG the task to choose the singers for the contest, and they have opted for us. When we found out that we have been chosen, we were overjoyed, because it was our big dream. We're really proud of ourselves for this achievement and looking forward our performance in Malta. 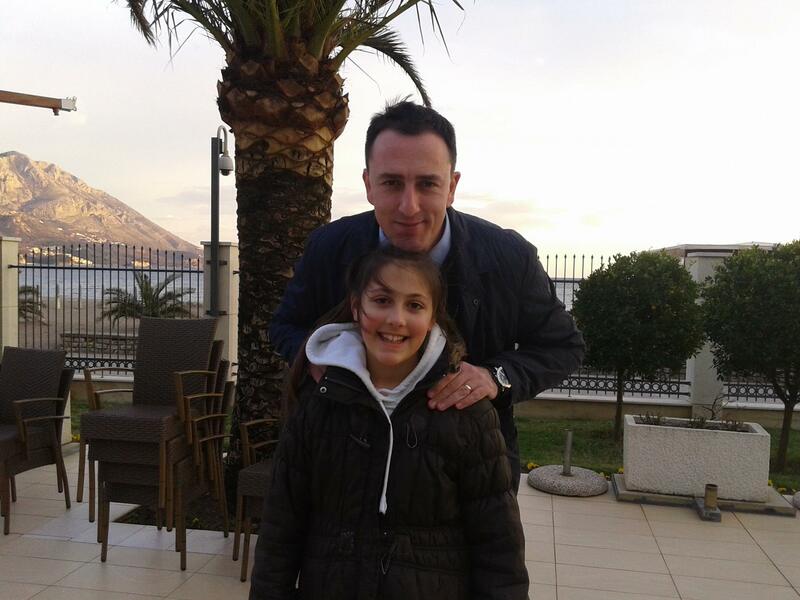 - Have you been acquainted before JESC project, may be you have already performed together? - We knew each other only through some festivals, where we performed as solo singers. This is the first time that we work together as a duet. - How was your song created, were you involved in the process yourselves? Lejla: The music was created by Slaven Knezovic. He is the composer, who already has Eurovision experience, he composed two songs for Montenegro at the adult ESC for the group No Name and Stevan Faddy. On the lyrics I have worked together with Sanja Peric, who is the best Montenegrin songwriter and I myself have been involved in the part when we should have done the lyrics in English. My mother is American and English is my second tongue after Montenegrin. - How would you try to present the message of your song through your stage presentation? Who is working with you as director of your stage performance? And can you introduce your backing dancers/vocalists if there will be any? Maša: We want to send a message to Europe, especially the adults, so that they forget for the moment all their problems and become like children, at least for a day - to get on a big smile and dose of optimism. That's what we will try to do in our stage performance - to send smiles and optimism to everyone. As a stage director with us is working Drasko Djurovic. He has also directed the video spot. Drasko also has the Eurovision experience because he was preparing stage performance of Rambo Amadeus in Azerbaijan. We will be alone on the stage... without backing vocals and dancers. But actually there are no backing vocals in our song either, it's just me and Lejla. - And who will take care of your image and outfits? Have you chosen them already? What would you like them to be? Lejla: Our outfits will be very much like in the music video. They are created by the very experienced Montenegrin fashion designer Seka Martinovic. The song carries the spirit of rock'n'roll, which should also be complemented with the outfit, we want to be little rockers on the stage. But we will see, what will be the final decision of Seka. - You have already filmed colourful and diverse music video. What was the most interesting for you in the process of the shootings? Maša: The hardest for us were numerous rehearsals and hearing the sentence that was always repeated by the director of the video Drasko Djurovic: "That was good, let's go it again". - What are your plans of preparations for the contest? Do you have to travel often for the rehearsals, or they take place in your hometown? Lejla: Unfortunately, I have to travel. Maša lives in Podgorica, and I in Kotor. It is some 90 kilometers from Podgorica. We practice in RTCG headquarters and I have every weekend to travel, which can be very tiring. As for the plans, we wish that we rehearse the choreography well, but above all, we have to a sing well a song that is demanding. - What do you consider the most difficult for you in the preparations for Eurovision? Maša: The most difficult is the uncertainty. Montenegro expects from us to achieve a good ranking and we have an obligation to achieve this goal. - And what is your personal aim for the contest? 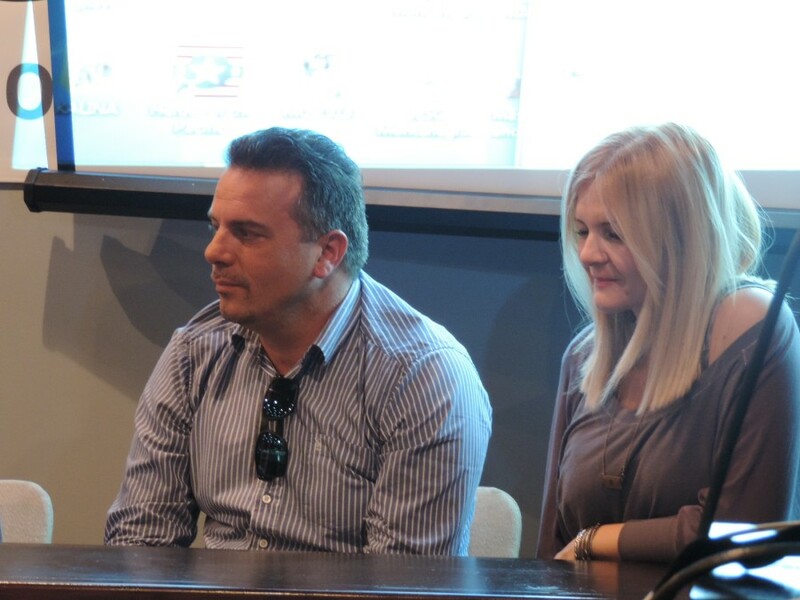 Maša: Our aim is first of all to introduce ourselves as best as we can. To meet some new friends from other countries, to join together and to spread the positive energy. It will be a great experience from which we can learn a lot. We hope that performance on such a big professional stage and event will help us to get remembered, and will open new opportunities for us in the future. Lejla: Of course we have listened to the songs of all the other participants. The songs are wonderful and viewers will certainly enjoy the tunes that they will listen to. We're very excited that we soon be meeting all of the performers in Malta. - What interests do you share besides music, may be you have some similar hobbies? Maša: I am playing few instruments. I love to read, to ride bicycle and hang out with friends. Lejla: Besides my passion for music, I am also writing poetry, playing volleyball and football and spending time with friends, of course when I have no school commitments. - Are there any plans to record more songs together? - Yes, we would like to do it, but we will see after JESC. - Your song is in pop-rock genre, is it your favourite style of the music? - We like rock, but like all kids from our generation we also like Rihanna, Jessie J, Demi Lovato, Katy Perry, Selena Gomez, Miley Cyrus. Besides rock and pop, Lejla also likes electronic music and Maša more jazzy and blues sounds. - If you could choose a parter for the duet from adult "stars" who would that be? Maša: Beyoncé!!! For me she is an ideal, complete artist, who can do everything on the stage. Lejla: Jessie J or Rihanna. - Is it difficult for you to combine preparations for the contest with studies in school? Do you like to study in general? Maša: Sometimes is hard, but I like it. Lejla: I'm happy to be in school. To acquire new knowledge, and to meet all my friends at school. - Our greetings to you all! Help to spread the smiles and be happy yourselves, and cheer for us!!! Maša and Lejla met, and sang together with Sergej Ćetković (he represented Montenegro in the adult Eurovision this year), who wished the two lovely girls the best of luck representing Montenegro in Malta! Post by Junior Eurovision Song Contest. 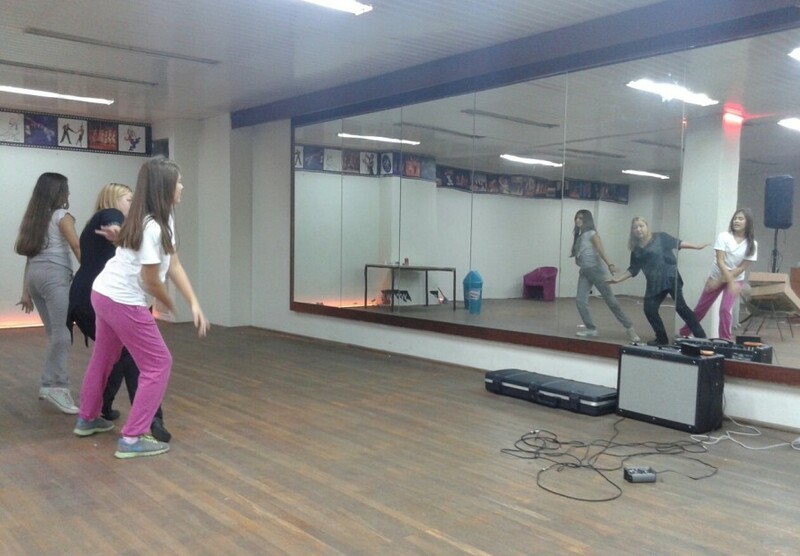 Representatives of Montenegro Maša and Lejla have started rehearsals for their Junior Eurovision performance. They are run under the supervision of professor from the Academy of Dramatic Arts from Cetinje, Sanja Garić. "I gladly answered the call to help our girls to prepare for their performance in Malta. I anticipate a major work, a lot of practice and I believe we will prepare a quality choreography. There is no reason to think different because Maša and Layla are maximally set for a work"
Montenegrin broadcaster RTCG has held a press conference to present it's entry for the Junior Eurovision Song Contest 2014, "Budi dijete na jedan dan" performed by Maša Vujadinović (14) and Lejla Vulić (12). Media has got the first option to see the music video, directed by Drasko Djurovic, who also set up stage performance of Rambo Amadeus in ESC 2012. You can now also watch the video here. "We wanted to send a message to adults to be a child for a day to forget the problems, concerns, and other things and to play with Maša and Lejla", said lyricist Sanja Peric. "Thanks to the energy that is brought by music and lyrics, I realized that the song has a message not to the children themselves, but to the adults and parents, telling them to spend one day without nervousness and worries - to become kids for a day," explained director Drasko Djurovic. It was the team of composers selected for the competition first, and after that they have chosen two girls to perform their entry, from the kids they already have experience of working with. Composer Slaven Knezović said that they have opted for a specific tune that should carry the audience to join the playful girls, who on his opinion also demonstrate great vocal abilities in their performance. "The composition is inspired by the wonderful, universal, cosmopolitan story penned by my colleague Sanja Peric, and this was the reason to write an energetic composition, because it is a characteristic of children". Head of delegation of Montenegro Sabrija Vulić explained that RTCG has received a proposal from Maltese colleagues to participate in the event, including the fact that they will bear the full cost of travel and accomodation of the Montenegrin delegation. Vulić promised to reveal at the next press-conference the total budget of the project, but has noted that since municipalities of Kotor, Tivat, Budva and several other sponsors helped to finance the project the cost for RTCG was zero. The team has thanked everyone involved in production of the video and the entry: ranging from the American professor Zack, actors, dancers, stylists, Kotor firefighters and others. 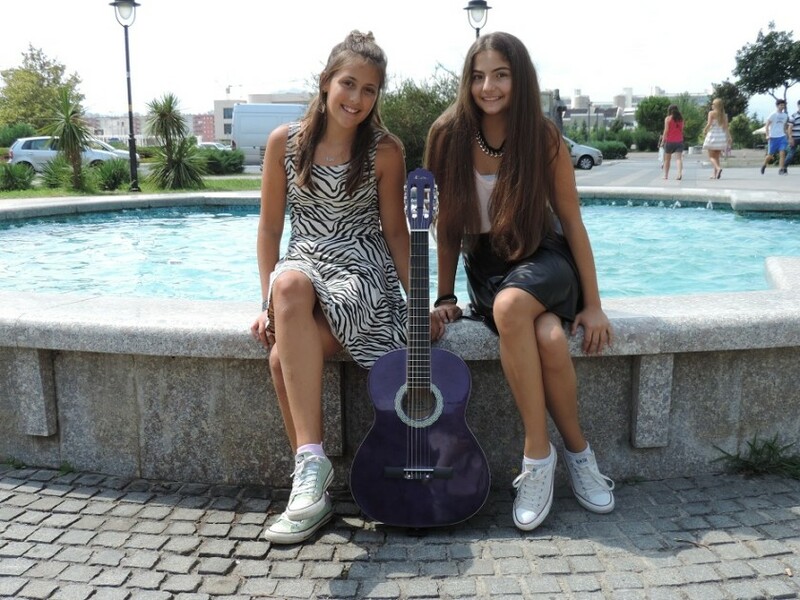 Maša and Lejla stated that they are ready for Malta, that they are happy and honored to represent their country in Junior Eurovision, despite it was rather difficult work for them in the past few days with recording of the song and music video. "It was fun and difficult, but in the end totally worth it. I'm very proud to be a part of this project, we hope to fulfil the expectations and introduce Montenegro in the best possible way", said Maša. Her colleague Lejla has revealed that now the girls will start working on choreography and on the stage will wear clothes similar to those in the video. "It was very hard, but we are very happy that everything needed for our video is done now", told Maša and Lejla. "We've done a lot of hard work in a short period of time carried by enthusiasm of the entire team that has approached the task highly professional", said director Draško Đurović. The editing of the music video will be completed in the studio of Igor Bakić. 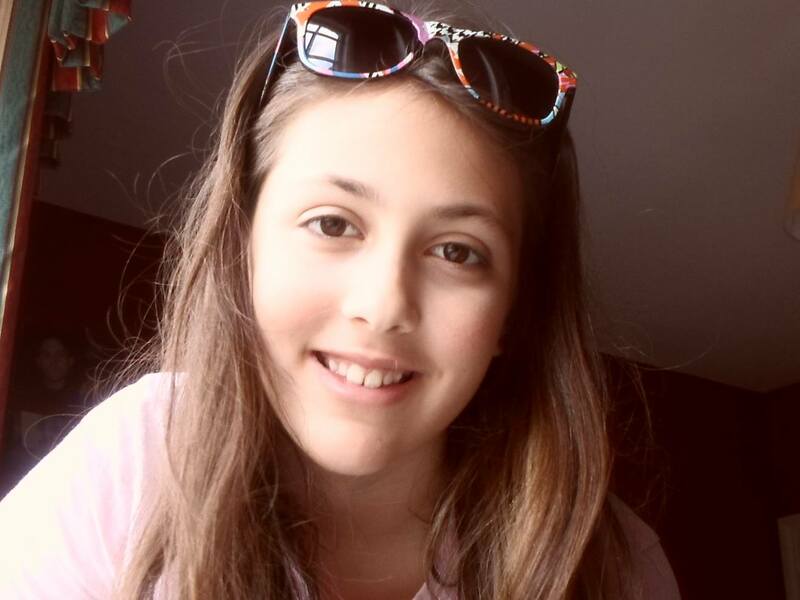 Shootings will continue in Knightsbridge school, in which Lejla studies, tomorrow. Music video is being directed by Draško Đurović, cameraman Vesko Balandžić. Дуэт Маши Вуядинович и Лейлы Вулич представит Черногорию на Детском Евровидении с песней "Budi dijete na jedan dan" (Стань ребенком на один день). Маша Вуядинович родилась 4го октября 2000 года в Подгорице, она занимается в 9 классе школы им. Павле Ровински, и в 6 классе музыкально-балетной школы им. Васы Павича. Она изучает музыку с 6 лет и также занимается танцами. Приняла участие в 1м сезоне шоу The X Factor Adria в 2013 году, но не была выбрана для живых шоу, несмотря на позитивные комментарии и 4 "Да" на прослушивании от Кристины Ковач, Эмины Яхович, Кики Лесендрич и Желько Йоксимовича. Она также принимала участие в музыкальных фестивалях "Наша радость" в 2008, 2009, 2010, 2011 (трижды лауреат 1й премии), "Златна пахуля" 2008, 2009 и 2010 (гран-при с песней "Сунце"), "Male skale 2009" (3я премия), TIN 2010 (гран-при с песней "Плави осмех"), "Док теце Лашва" в 2011 и 2012. Участница Детского конкурса в рамках "Славянского Базара" 2012 (день 1, день 2). Также она пела с детским хором "Звьездице" и несколько раз принимала участие в телешоу канала РТЦГ. Недавно, она выступала на мероприятии "Спушко льето 2014". "Для меня - огромное удовольствие получить возможность представлять свою страну. Передо мной и Лейлой стоит очень требовательная задача. На нас лежит огромная ответственность и мы сделаем все от нас зависящее, чтобы представить Черногорию и самих себя с наилучшей стороны. Я принимала участие во множестве престижных фестивалей, но это для меня будет совершенно новым опытом. Это - крупнейший из всех фестивалей, в которых я когда либо имела возможность участвовать, и я горжусь, тем, что я стала его частью. Я стараюсь мотивировать себя выложиться на полную и соответствовать нашей задаче. Мы с нетерпением ждем дня, когда мы отправимся на Мальту, и мы верим, что мы не подведем ничьх ожиданий. Лейла Вулич родилась 29го июня 2002 года в Майями, Флорида, США и живет в настоящее время в Которе, Черногория. Ее отец - телеведущий, глава пресс-службы РТЦГ Сабрия Вулич. Она занимается в 7 классе школы "Knightsbridge school International" в Тивате, и закончила 5й класс музыкальной школы им. Виды Матьян, по классу скрипки. Она также принимала участие в фестивалях "Златна пахуля" 2009, "Наша радость" 2011 и выступала на традиционном карнавале в своем родном Которе в 2012. Ее стихотворения печатались в различных журналах. "Участие в Детском Евровидении и представление своей страны для меня большая честь и гордость. Это редкая возможность и я уверена, что мы с Машей выложимся на полную. Ответственность за страну дает нам дополнительную мотивацию, и этим Евровидение отличается от других конкурсах в которых я раньше участвовала. Впервые мы будем бороться не только за самих себя, но и за целую страну. Нам помогает прекрасная команда. С тетей Саньей я уже работала раньше, она написала для меня песню "Никола", которая была очень популярной, и новый опыт работы с ней над текстом песни - это также большая честь для меня"
18 июля черногорский вещатель Радио и Телевизия Црна Горе (РТЦГ) объявил о своем дебюте в конкурсе. Имена участников и название их песни были объявлены 21го августа. Песня, которую Маша и Лейла исполнят на конкурсе называется "Буди диете на едан дан" (Стань ребенком на один день). Санья Перич и Лейла Вулич написали текст к песне, а известный композитор Славен Кнезович (автор песен Сербии и Черногории на Евровидении 2005 и Черногории на Евровидении 2007) помог им в написании музыки. Начало песни будет исполняться на английском языке, а вся оставшаяся часть, в соответствии с правилами, на родном черногорском. Миха Радоньич создал аранжировку и записал песню в своей студии "M Sound", мастеринг песни был сделан в студии Edensound в Сиднее. Режиссером видеоклипа и постановщиком номера для Мальты будет Драшко Джурович. Славен Кнезович, также являющися главой музыкального отдела РТЦГ, заявил, что Детское Евровидения - это фантастическая платформа для молодых музыкантов представить свои страны, а Маша и Лейла являются прекрасным выбором для Черногории, основывающемся на их таланте, знаниях и опыте. Он добавил, что они представляют собой потрясающий музыкальный дуэт, и своим собственным способом покажут жизнь Черногории в песне, которую они исполнят на Мальте. Дебют Черногории на Детском Евровидении является инциативой рассказать широкой аудитории о детском творчестве в стране, а участие в конкурсе будет полностью финансироваться при помощи спонсоров, и обойдется в значительно более меньшие суммы, чем участие во взрослом Евровидении. Благодаря отличным контактам с Мальтийским телевидением, вопросы транспорта и проживания также были улажены без дополнительных затрат. - Привет, Маша и Лейла, наши поздравления с тем, что вы стали конкурсантками Детского Евровидения. Расскажите нам, как вы были выбраны для участия в этом шоу, и какова была ваша первая реакция на это известие? - Спасибо за поздравления. Мы раньше уже работали с композитором Славеном Кнезовичем, и поэтессой Саньей Перич. Телеканал RTCG выбрал их для написания песни для конкурса, и уже они сами могли выбрать исполнителей для своей песни. В итоге они остановили свой выбор на нас. Когда мы узнали о том, что мы были выбраны для конкурса, мы были невероятно рады, потому что это было огромной нашей мечтой. Мы очень гордимся собой, и с нетерпением ждем возможности выступить на Мальте. - Вы уже были знакомы до этого проекта, выступали когда-либо вместе? - Мы знали друг друга только по участию в некоторых фестивалях, в которых мы выступали в качестве сольных исполнителей. В этот раз мы впервые работаем вместе в качестве дуэта. - Как была н ваша песня, принимали ли вы сами участие в процессе ее создания? Лейла: Музыку к ней написал Славен Кнезович. Он композитор уже с опытом участия в Евровидении, он писал две песни, представлявшие Черногорию на взрослом конкурсе - группы No Name и Стивена Фадди. Над текстом я работала вместе с Саньей Перич, лучшей черногорской поэтессой, и сама я принимала участие в той части, где нужно было написать текст по-английски. Моя мама - американка, и потому - английский, мой второй родной язык после черногорского. - Как вы попытаетесь передать смысл вашей песни в вашем сценическом номере? Кто работает с вами в качестве режиссера вашего сценического выступления? И можете ли вы представить своих танцоров/бэк-вокалистов, если они у вас будут? Маша: Мы хотим послать месседж Европе, прежде всего взрослым, которые будут смотреть это шоу, чтобы они позабыли о своих проблемах, и стали похожими на детей, хотя бы на один день, чтобы на их лице была большая улыбка и они получили дозу оптимизма. Вот, что мы попытаемся показать в нашем сценическом номере - передать свою улыбку и оптимизм всем зрителям. В качестве режиссера-постановщика с нами работает Драшко Джурович. Он также был режиссером нашего видеоклипа. У него тоже есть опыт работы на Евровидении - он готовил сценический номер для Рамбо Амадеуса в Азербайджане. Мы будем одни на сцене... без бэк-вокалистов и танцоров. Но на самом деле в нашей песне вообще нет бэк-вокала, там поем только я и Лейла. - А кто позаботится о вашем сценическом имидже и костюмах? Вы их уже выбрали? Какими бы вы хотели, чтобы они были? Лейла: Наши костюмы будут очень похожими на те, что вы видите в видеоклипе. Над ними работает опытный черногорский модельер Сека Мартинович. В песне есть своего рода дух рок'н'ролла, поэтому костюмы должные ему соответствовать, мы хотим быть маленькими рокерами на сцене. Но, посмотрим, каким будет окончательное решение Секи. - Вы уже сняли яркий и разнообразный видеоклип. Что было для вас самым интересным в процессе съемок? Маша: Самым сложным для нас были бесконечные репетиции, и слышать фразу, которую постоянно повторял режиссер клипа Драшко Джурович: "Это было хорошо, давайте сделаем это снова". - Какие у вас планы подготовки к конкурсу? Вам приходится часто ездить на репетиции, или они проходят в вашем родном городе? Лейла: К сожалению, мне приходится ездить. Маша живет в Подгорице, а я в Которе. Он находится примерно в 90 км от Подгорицы. Мы репетируем в штаб-квартире телеканала РТЦГ, и мне нужно ездить туда каждые выходные, что довольно утомительно. Что же касается планов, то мы надеемся, что хореографию мы отточим, но наиболее важно хорошо исполнить нашу, довольно сложную, песню. - А что для вас самое сложное в подготовке к конкурсу Евровидение? Маша: Больше всего давит неопределенность. Вся Черногория ожидает того, что мы займем высокое место, и наша обязанность - достичь этой цели. - А сами вы для себя какую цель ставите на конкурсе? Маша: Наша задача, прежде всего, представить себя с наилучшей стороны. Мы хотим встретиться с новыми друзьями с других стран, и, объединившись вместе, распространить позитивную энергию. Это будет огромным опытом, на котором мы можем многому научиться. Мы надеемся, что выступление на такой большой профессиональной сцене и мероприятии, сможет помочь нам запомниться, и откроет нове двери и возможности перед нами в будущем. - Вас интересует, кто представит на конкурсе другие страны, будете ли вы слушать песни других конкурсантов? Лейла: Конечно, мы уже прослушали все песни других участников. Все песни - прекрасные, и зрители, несомненно, получат большое удовольствие от шоу. Мы с нетерпением ждем возможности встретиться со всеми исполнителями на Мальте. - Какие у вас есть интересы помимо музыки, может быть какие-то общие хобби? Маша: Я играю на нескольких инструментах, люблю читать, кататься на велосипеде и отдыхать с друзьями. Лейла: Помимо моей любви к музыке, я также пишу стихи, играю в волейбол и футбол, и провожу время с друзьями, конечно, когда у меня нет домашних заданий. - Есть ли у вас планы записать вместе еще несколько песен? - Да, мы бы хотели сделать это, но, посмотрим, после Евровидения. - Ваша песня написана в стиле поп-рок, это ваш любимый стиль музыки? - Нам нравится рок, но как и все дети нашего поколения мы также любим слушать Рианну, Джесси Джей, Деми Ловато, Кети Перри, Селену Гомез, Майли Сайрус. Помимо рок и поп музыки, Лейла также любит слушать электронную музыку, а Маша - более джазовое и блюзовое звучание. - Если бы вы могли выбрать себе "звездного" партнера для дуэта, кто бы им стал? Маша: Бейонсе!!! Для меня - она идеал, полноценная артистка, которая может делать на сцене всё. Лейла: Джесси Джей или Рианна. - Сложно ли вам совмещать подготовку к конкурсу с занятиями в школе? Любите ли вы вообще учиться? Маша: Иногда это сложно, но мне нравится. Лейла: Я люблю ходить в школу, получать новые знания, и видиться со всеми своими друзьями. - И, если у вас есть что добавить читателям этого интервью, то вы можете это сделать сейчас. - Большой привет вам всем! Помогите распространять повсюду улыбки, и будьте счастливы сами, и болейте за нас!!! - Спасибо вам за интервью, и увидимся на Мальте! Маша и Лейла встретились, и спели вместе с Сергеем Четковичем (он представлял Черногорию на взрослом Евровидении в этом году), который пожелал девочкам удачи на Детском Евровидении на Мальте. Представительницы Черногории Маша и Лейла приступили к репетициям своего выступления для Детского Евровидения. Они проходят под руководством профессора Академии Драматический Искусств города Цетине Саньи Гарич. "Я с радостью ответила на призыв помочь нашим девочкам подготовиться к своему выступлению на Мальте. Нас ждет большая работа, много тренировок, и я верю в то, что мы сможем подготовить качественную хореографию. Нет никаких причин думать иначе, потому что Маша и Лейла максимально нацелены на работу"
Черногорский вещатель RTCG провел специальную пресс-конференцию, чтобы представить свою песню для Детского Евровидения 2014 "Budi dijete na jedan dan", которую исполнят 14-летняя Маша Вуядинович и 12-летняя Лейла Вулич. Представители СМИ получили шанс первыми увидеть видеоклип, режиссером которого стал Драшко Джурович, который также был режиссером выступления Рамбо Амадеуса на взрослом Евровидении 2012. Теперь и вы можете его увидеть здесь. "Текстом мы хотели послать месседж взрослым о том, что они могли бы стать детьми хотя бы на день, забыть обо всех проблемах, заботах и прочем, и присоединиться в игре к Маше и Лейле", сказала автор текста песни Санья Перич. "Благодаря той энергии, которая содержится в тексте и музыке, я понял, что песня посвящается не самим детям, а взрослым и родителям, призывая их прожить хотя бы один день без нервотрепок и волнений - стать детьми на день", говорит режиссер Драшко Джурович. Сначала для участия в конкурсе была выбрана команда авторов песни, и уже затем они выбрали двух девочек для исполнения своей песни, из числа детей, опыт работы с которыми у них уже был ранее. Композитор Славен Кнезович рассказал, что они специально написали такую песню, которая могла бы вовлечь зрителей в игру с девочками, которые, по его мнению, также демонстрируют прекрасные вокальные возможности в своем выступлении. "Песня вдохновлена прекрасной, универсальной, космополитичной историей, написанной моей коллегой Саньей Перич, и это стало причиной для написания энергичной песни, потому что этим характеризуются дети, которые ее исполняют". Глава делегации Черногории Сабрия Вулич, объяснил, что RTCG получил предложение от мальтийских коллег принять участие в конкурсе, включая тот факт, что они полностью берут на себя все расходы по перелету и проживанию делегации Черногории. Вулич пообещал на следующей пресс-конференции объявить общую сумму бюджета проекта, но отметил, что благодаря поддержке муниципалитетов Котора, Тивата, Будвы и ряда других спонсоров расходы телекомпании составили "ноль евро". Команда поблагодарила всех тех, кто принимал участие в записи песни и съемках клипа, начиная от американского профессора Зака, и до пожарной бригады Котора. Сами Маша и Лейла заявили, что они готовы к поездке на Мальту и для них является большой честью представить свою страну на Детском Евровидении, несмотря на то, что для них было довольно сложным работать в последние несколько дней над записью песни и съемками видеоклипа. "Было весело, но сложно, но в конце-концов это того стоило. Я горжусь тем, что я являюсь частью данного проекта, мы надеемся исполнить все ожидания и представить Черногорию в наилучшем виде", сказала Маша. Ее коллега Лейла скромно призналась, что они уже прослушали все опубликованные песни других стран, и нашли несколько даже лучше своей собственной. Девочки также рассказали, что теперь им предстоит работа над хореографией, и они выступят на сцене в одежде похожей на ту, которую они носят в клипе. На вопрос корреспондента газеты "Вести" нет ли конфликта интересов, что глава делегации Сабрия Вулич является отцом одной из участниц конкурса, Вулич ответил: "Я так не думаю. В футболе часты случаи, когда сыновья тренера играют в его команде, но ни о каком конфликте интересов речь в этом случае не идет". "Было очень сложно, но мы рады, что все нужное для нашего видео уже сделано", говорят Маша и Лейла. "Мы сделали очень много сложной работы за короткий период времени, этому помог энтузиазм всей команды, которая подошла к выполнению задачи очень профессионально", говорит режиссер Драшко Джурович. Монтаж видеоклипа будет завершен в студии Игоря Бакича. Съемки продолжатся завтра в школе Knightsbridge, где занимается Лейла Вулич. Режиссер видеоклипа Драшко Джурович, оператор - Вешко Баланджич. Come with me and I'll explain! An' you'll find out what I say! Ma dosta je bilo briga! pođi samnom i reći ću ti šta! i otkrićeš tajne koje znam! i osmjeh vratićeš na lice!!! Hajde, uzmimo se za ruke jednostavno. Znaš, jer nije to ni bilo tako davno. niste znali tad za razlike. Be a kid for a daaaaaaay! Come to the colourful house with murals! Come with me and I'll tell you! And you'll find the secrets I know! And a smile will be back to your face! For kids it is not important! of colorful murals and a spire! together we could be a team. An' a smile be back to your face! Hey, give me your hand, my friend. who is who, just play together! Пошли со мной, я объясню! И ты поймешь, о чем я говорю! Пошли в яркий дом с росписями! Потому что вы не учите это по книгам. Пошли со мной, я расскажу! И ты узнаешь те секреты, которые я знаю! И улыбка вернется на твое лицо! Пошли, давай возьмемся за руку. Между детьми она не важна!